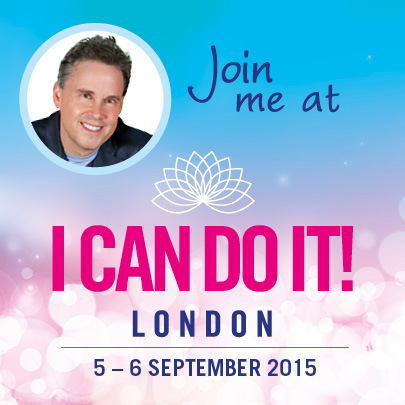 Editor's Note: Robert Holden, the author of this article, will be speaking live about Life Loves You at I Can Do It! London 2015 this September in the UK. Click here to learn all about his talk and to book your ticket to the event. 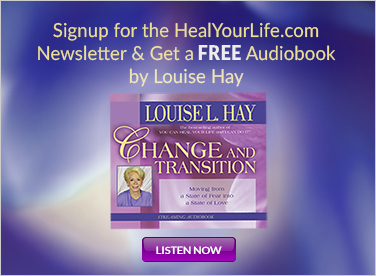 The first time I met Louise Hay in person was backstage at an I Can Do It! conference in Las Vegas. Reid Tracy, President of Hay House, introduced us. 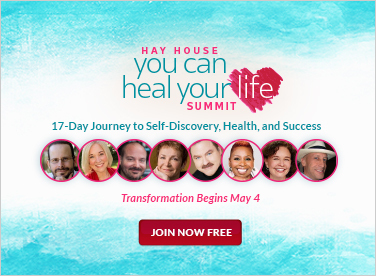 “Welcome to the Hay House family,” Louise said, as she gave me a warm hug. Life loves you is one of Louise’s best-loved affirmations. I think of it as her signature affirmation, the heart thought that represents her life and her work. She loves to tell people, “Life loves you.” Each time I hear her say these words, I feel it like honey in my bones. Early on, I thought that Life loves you would be a great subject for a Louise Hay book. I mentioned it to Louise. I also spoke to Reid Tracy. “Tell me when you’re ready to help her write it,” he said. I didn’t think he was serious. Anyway, I was busy with my own writing projects. A few years passed, and the idea of a book about Life loves you would pop into my mind occasionally, but I didn’t do anything about it. The day after I finished my book Holy Shift!, I’d planned to play golf. 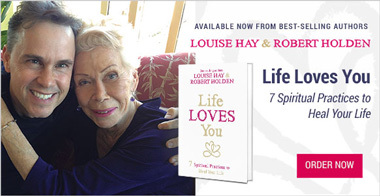 However, by lunchtime I’d written a synopsis for Life Loves You, a book co-authored by Louise Hay and Robert Holden. I had no choice but to write the synopsis that morning. I didn’t have to think about it. The words just tumbled onto the page. Our book is the fruit of a dialogue between Louise and me. I visited Louise in San Diego, California, three times between Thanksgiving and Easter. We spent a total of nine days together. I recorded all our conversations. We also scheduled regular calls on Skype. Over the years, Louise I have met up at over 20 I Can Do It! conferences in Europe, Australia, Canada, and America. I’ve interviewed Louise for the Hay House World Summit, and Louise has attended several of my public talks and workshops. As you will see in the book, I share stories and conversations from some of these meetings as well. Life Loves You is an inquiry that takes you to the heart of who you are. It explores your relationship with the world. It asks deep questions about the nature of reality. In recent years, science has learned to see the world in a new way. For instance, we know now that atoms are not separate little things but expressions of universal energy. A universe of separate things never really existed. Everything is part of everything. Each of us is part of a greater Unity. We have a relationship with the stars, with each other, with all of creation. Science recognizes that the world is not just a physical place; it is also a state of mind. “The universe begins to look more like a great thought than like a great machine,” wrote Sir James Jeans, the English physicist. Exploring the consciousness of creation is the new frontier of science. Louise and I believe that the basic building block of creation is not the atom; it is love. This love is not a sentimental thing. It is not just an emotion; it is the creative principle behind the dance of life. It is universal. It is intelligent. It is benevolent. We are all an expression of this love. It is our true nature. Life Loves You is both an inquiry and a practical exercise. Louise is a spiritual pragmatist, and I am interested in philosophy only if it can be applied to everyday life. Hence we made the subtitle of our book 7 Spiritual Practices to Heal Your Life. There are seven chapters, and each chapter ends with a spiritual practice that helps you turn theory into experience. In addition to the seven main practices, there are a number of other exercises, too. You might like to do the exercises in the book with a partner or in a study group. Love is not just an idea after all. Louise and I are so happy about our book Life Loves You. We are grateful for the opportunity to write it together. We hope and pray that our work supports you all the more in letting life love you and in being a loving presence in this world.